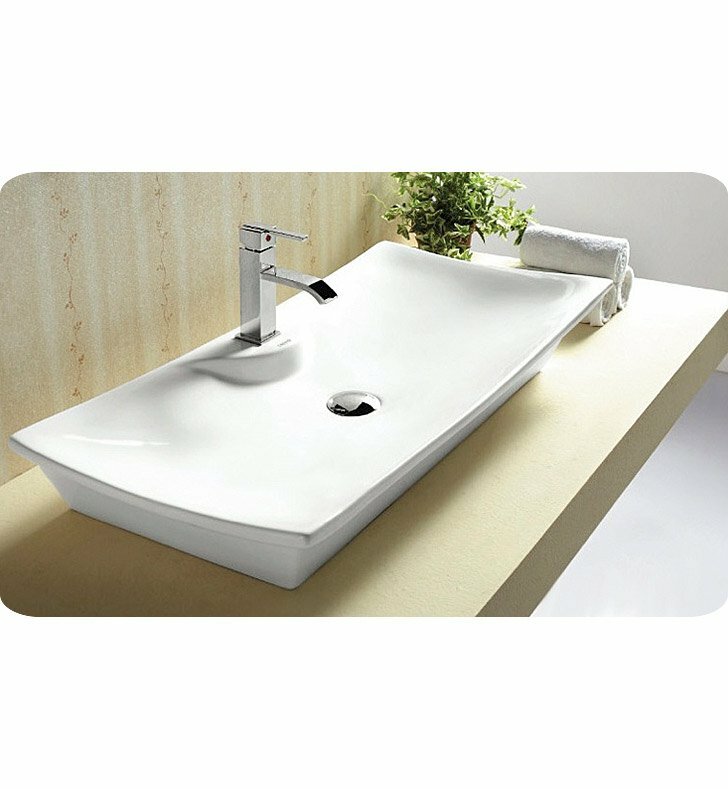 Modern design, rectangular white ceramic vessel bathroom sink with one hole. Beautiful above counter washbasin comes without overflow. Made in Italy by Caracalla. Dimensions: D 16 1/4" x W 32 3/8" x H 6 1/8"